1 Erin Condren Life Planner, because I can’t function without mine! A pre-ordered copy of my very first cookbook!! 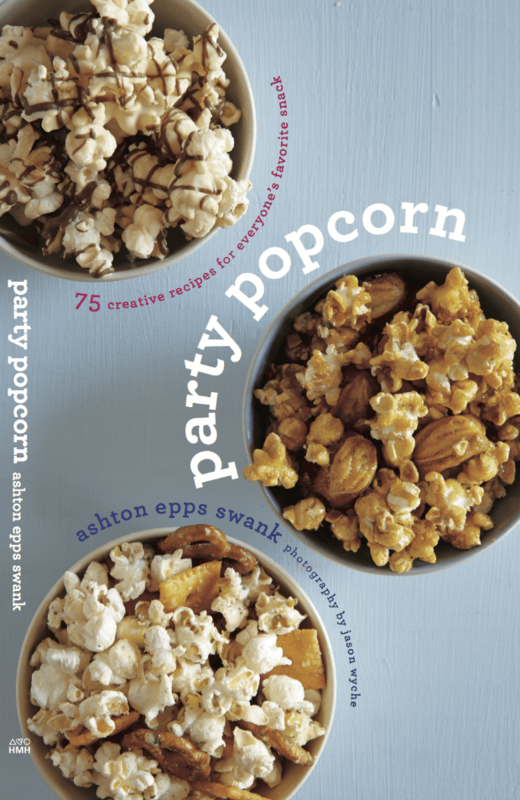 Because… omg-I-wrote-a-cookbook! Plus– it’s pretty awesome. Who doesn’t love popcorn?! $50 to spend at the Cheesecake Factory, because it’s the real happiest place on earth. 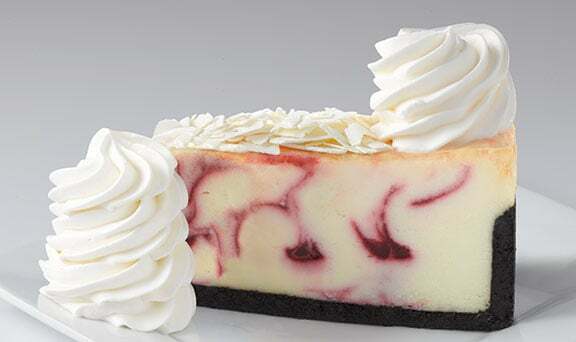 Order a slice of White Chocolate Raspberry Truffle Cheesecake for me while you’re there! Prize value: $120! Just if you were wondering. *Giveaway is open to international entrants. International winners will be offered a PayPal cash out option. I love when you guys do these giveaway! So fun! I popped on over to a new blog to me -a pumpkin and a princess- very cute! I’m using this as a chance to find new blogs too! Thanks for that – I went to Capturing Joy. Ooh, I love the Cheesecake Factory! I went on to visit Kristen Duke’s blog. 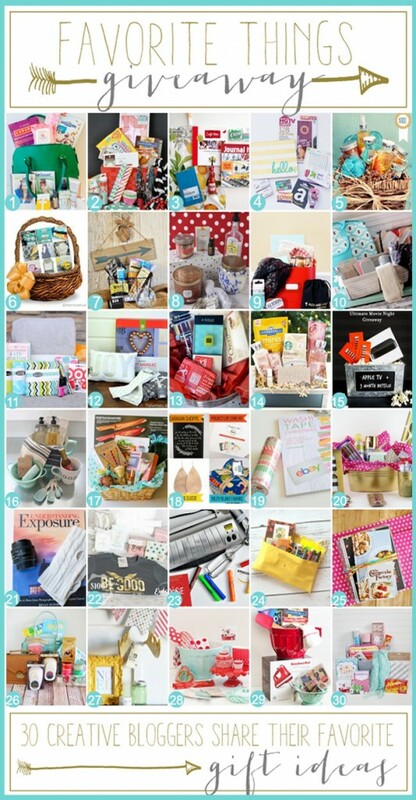 I’ve visited Pleated Poppy & love all the great giveaways – such a nice selection! 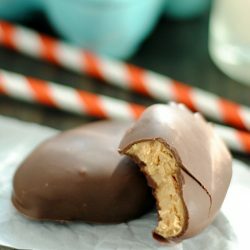 I look forward to pinning and trying many of your recipes in the future, too – Thanks! Love the Cheesecake Factory! And… The Girl Who Ate Everything! I went to Kristen Duke’s blog. Thank you for the giveaway. 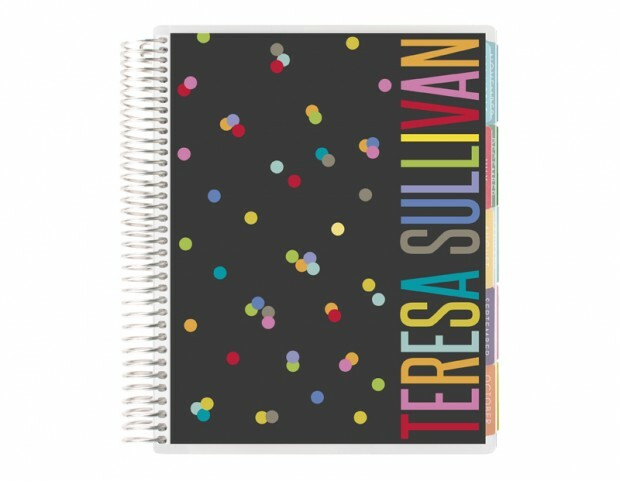 I’ve heard great things about the Erin Condren planner and have been wanting one. I went to the girl who ate everything! Thanks! I’m checking them all out! I visited The Pleated Poppy! Heading over to The Girl Who Ate Everything! I went over to Click it up a notch and no biggie. Tidy Mom! I love her blog. I have visited all the blogs listed in the giveaway, today! I visited them all as there were a few I’ve never heard of before. Such a great group of blogs to add to my feed reader! I hopped to most of them, including two twenty one! Stopped by Tidy Mom – one of my favorite blogs! I visited all the blogs! I visited Live Laugh Rowe. Went to The Girl Who Ate Everything. I went to Two Twenty One- Love that girl! I popped over to Eighteen25! I went to kojodesigns. They are giving away makeup favorites in a leather pouch (plus more!). I’ve visited them and really glad I did since I found your blog and am a new follower! started at crazy little projects! I’ve almost visited all of them! Love this giveaway and seeing everyone’s favorite things! I visited The Crafting Chicks — love all these giveaways! Great ideas! Heading over to Eighteen25 next! I checked out The Girl Who Ate Everything’s blog! Love her! next on my list is eighteen 25. thanks! Pleated Poppy & Two Twenty one so far! Capturing Joy, I have entered all of them now! I’m Headed to the Diary of Dave’s Wife! 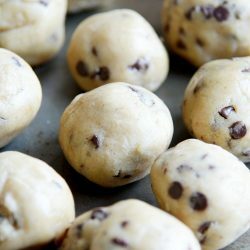 I love baking and that one looks brilliant! I visited them all, but now I’m off to Tater Tots & jello! I have visited Bombshell Bling and all the other blogs before you on the list! Loving this!! I’ve been to all the blogs on the hop! Love it. I’ve visited all the other blogs! I only have 4 of the 30 blogs left to visit. I’ve visited all the blogs! I visited them all! Starting with Bombshell Bling. I visited eighteen25. Thanks for your giveaway! I always love visiting Click it up a Notch! I visited Click it up a Notch! I visited Click it Up a Notch and Capturing Joy! I visited Click it Up a Notch…and all the others! I checked out several new blogs – Diary of Dave’s Wife, Yellow Bliss Road, Tidy Mom…..Love them all! I went over to eighteen25. I visited crazy little projects. I visited capturing joy blog. Great reason to check out Capturing Joy! I’m excited to check out yellow bliss road! I have been going to each blog – I found this giveaway on Two Twenty One! yellow bliss road has some awesome cooking stuff! The Girl Who Ate Everything! Great giveaway! I’m off to visit Yellow Bliss next! I’m visiting ALL of them. Such fun! I’m visiting Entirely Eventful Day next. Love this giveaway. I jumped over to eighteen25. tidy mom has been one of my fave blogs too! I visited Capturing Joy with Kristen Duke! I visited and entered LandeeLu. Visited ALL of them… but a very nice surprise was a blog I’d never heard of, Entirely Eventful Day! I have visited almost all of the other blogs! Great giveaways this year!!! I am checking out Classy Clutter! I looked at all of them! I checked out all the blogs but went to Eighteen25 after this one. Thanks for the chance!! I went and visited Click It Up a Notch and TwoTwentyOne!! I have visited them all! I visited all of the blogs! I love the Girl Who Ate Everything. I went to 30 handmade days. I’ve gone to them all! I visited twotwentyone and love it! Went to Click it up a Notch! I visited Tidy Mom blog. I’m going down the line, so I’ve already visited the first 24 blogs! ha ha Thank you so much for the giveaway! I have visited almost all of the blogs…love them all! It’s a problem! Heading to Classy Clutter next. I visited all the other giveaway sites, and discovered A Pumpkin and a Princess! I hopped over to Tatertots and Jello! I visited the Tidy Mom blog, along with a few others. I visited Live-Laugh-Rowe! Awesome Prizes!! Found “The Girl Who Ate Everything”–so cute!! I went to Eighteen25 soooo cute! I visited number 17: The girl who Ate Everything. Can’t wait to check it out! I visited Two Twenty One. Love cheesecake factory and anything that can help keep track of my crazy family’s lives! I also checked out Kristen Duke’s blog and the girl who ate everything! I’m working my way thru the list! Some of the blogs I’m familiar with and some are new. I just checked out The Crafting Chicks and love it…I’m now a new subscriber of theirs. I checked out The Girl Who Ate Everything. I’ve entered several of the giveaways, today, including The Girl Who Ate Everything. You guys have great taste. I clicked on all of them. Just visited Eighteen25, one I’ve been to before and liked! I went over to Crazy Little Projects. I visited eighteen25 (and pretty much all of them actually!). I clicked over to Eighteen25. I have visited most of them! Click it up a notch – one of my new favorite blogs. I went to click it up a notch. Thanks for the giveaway! I visited them all! But most recently, I clicked through to Two Twenty One. I hopped over to C.R.A.F.T. Pleated poppy; Yellow Bliss Road Bombshell bling Daves Wife; Eighteen25, and more!! Eighteen 25..thanks for the fun giveaway! I visited all the blogs in the giveaway!! I clicked over to Eighteen25. Thanks for a great giveaway! Visited Bombshell Bling. Thanks for hosting the giveaway! I hopped over to the eighteen25 blog. Thanks for the giveaway! I am visiting all the lovely blogs and entering the giveaways. Thank you so much for doing this! So far I’ve visited blogs #1-24! I went to tater tots and jello! I’m checking out all 30 blogs! LOVE this giveaway! I entered over at ALL of them, but started following a new blog to me – The Pleated Poppy! I’ve visited several of the blogs. Capturing Joy was the first. This is a great opportunity to follow new blogs, along with new Pinterest and Facebook posts. Thank you! I’ve actually hit them all… Bombshell Bling is one of my favorites! I visited most of the blogs on the list. Fun giveaways! I think I’ve almost visited them all!!!! Thanks for a great giveaway!!! this giveaway is so fun! I am visiting all of the blogs! Love this! I am hopping over to Thirty Days of Homemade and a bunch of others! I visited 30 Days 30 Handmade Ways! Love these giveaways! The Crafting Chicks are giving away an AppleTV! I am going to eighteen25 next but I will visit all the blogs. Love the giveaway. I’m going to go see Tater tots & Jello next. I’ve checked out all the blogs associated with this giveaway. I visited eighteen25. Thanks for the chance to win! I’ve been going to all the blogs. Love the new finds! I went and visited Kojodesigns…loving the goodies from Saipan! I LOVE your giveaway! I’m clicking over to Classy Clutter now! I checked them all out! What fun gift ideas. Thanks! I have visited all the blogs on the blog hop but a new one to me was Classy Clutter! I love your giveaway! The Cheesecake Factory is one of my favorite places ever! I went to Kristen Duke Photography. I actually didn’t know your blog very well or kojo designs. I visited (& entered at) The Diary of Dave’s Wife. All of them, except for #26-30 (I’m on my way there now). Lots of great favs! I entered kojo designs to try and win the cute little wooden camera! I am visiting the 36th Avenue next. I’m in the process of visiting them all! SO enjoying discovering new blogs!! I’m checking out all the blogs! I looked at The 36th Avenue. I have visited most of them but tidymom.net was first! I went to 30handmade days, eighteen 25 blog, and lollyjane so far! I visited a lot, and started with Pick Your Plum. Love the giveaways and “meeting” new people! I’m checking out all of them! About 2/3rds through the list! I’ve looked at all the blogs ahead of you on the list. Yellow bliss road and tons others ! I visited a Pumpkin & a Princess! I actually visited them all but LOVE Clickitupanotch! I visited Yellow Bliss Road! Love this giveaway – every part! Thanks! I’ve been to all, but I really also love the stuff at The Diary of Dave’s Wife! I’ve checked out all of them! Many are a bunch of the blogs I regularly follow via facebook or email subscriptions. Awesome bunch of bloggers and fantastic fun giveaway! I went to all of them! Tatertots & Jello I love her blog! Headed over to Crazy Little Projects! A Pumpkin Princess, how can you not with a name like that? I’ve been to almost all of the blogs but I started at Capturing Joy with Kristen Duke – where it all began! I went to Crafting Chicks! Kojo designs is giving away yummy treats from Saipan. I LOVE trying treats from other places! I visited Kristen Duke’s blog & will probably visit a bunch more! I’m headed over to kojo designs! I went to the 36th Avenue, and eighteen 25! You guys are all amazing! Heading over to the Crafting Chicks! I went to Thirty Handmade Days. I love your site very glad I found it through the giveaway! I could not get that little box to finish loading. I will hopefully be back later. …excited to continue reading your blogs! I visited click it up a notch. On my way to The Girl Who Ate Everything! I visited the girls at eighteen 25! LOVE them! The Girl Who Ate Everything, love the name! I visited the pleated poppy. Thanks for the chance to win! and I am SOOOO jealous y’all are SOOOO talented!!! I went to Classy Clutter. I have visited all of the blogs! I went to Click It Up a Notch! Great giveaway! I clicked over to The Girl Who Ate Everything. I went to the crafting chicks! I went to all of them!!! I visited all the other blogs listed above. I love a good giveaway! I visited All of them! So many good gift ideas! I’ve hopped on all but 4 of the other bloggers. Love the mini red k-cup coffee maker and rustic arrow. I jumped to Tatortots and Jello, Pleated Poppy, and on and on…. With all these great and totally different prizes I am clicking onto every single one of them !!! I am going to blog ‘Eighteen25’ next!! I’ve visited almost all the blogs so far! I visited A Pumpkin and A Princess! I’ve visited most of them. I have visited All the other blogs! I went to lots of the other ones, Pleated Poppy being one. Thanks for the giveaway! Awesome giveaway! I visited Capturing Joy and will be visiting them all. Lots of great discoveries! All of them! LOL can’t just click over to one, had to visit them all. I clicked over and entered on Tatertots & Jello! Click it Up a Notch, loved the photography tips! I’m checking out every single one! I have visited Capturing Joy with Kristen Duke, Bombshell Bling, C.R.A.F.T., LandeeLu, The 36th Avenue, Pick Your Plum, TidyMom, Your Homebased Mom, Live Laugh Rowe, How Does She, Crazy Little Projects, Tatertots & Jello, Or So She Says, A Pumpkin and a Princess, The Crafting Chicks, The Pleated Poppy, The Girl Who Ate Everything, My Sisters Suitcase, No Biggie, Classy Clutter, Click it Up a Notch, Entirely Eventful Day, Thirty Handmade Days, and kojo designs so far! I went to My Sister’s Suitcase! Fun! I already visited twotwentyone and she’s giving out several things including gift cards and scarf! I hopped over to Diary of Dave’s wife. I only have a few left to visit! kojo designs was one of the last ones I was at. Visited most, still some more to go. I actually have been to most of them, checking out all the great prizes. Thansk for the chance to win! Just started visiting, hoping to visit all. I visited No Biggie and entered the giveaway there too! I went to Eighteen25. I plan to visit them all! I visited Kristin Dukes’s website. I went over to TidyMom! EighteenTwentyFive – love this blog hop! I visited all of them, most yesterday, but, 21-30 today. The Girl Who Ate Everything…One of my favorites! Lollyjane and almost everyone else. Thanks for the chance. I can’t lie I am going to them all, love them. Went over to 30 handmade days. I’m making my way through the list, but before you, I visited Pleated Poppy! I’m clicking on all the blogs! Already got some great ideas! went to Yellow Bliss road!! I’m heading to all of them but I just left Diary of Dave’s Wife. Love and visited Crafting Chicks! What a fantastic bundle! I went over to The Girl Who Ate Everything. I’m entering a whole bunch of them =) Heading over to LollyJane after this! I’m visiting everyone, you are my first stop. Crazy Little Projects will be next! I went to Bombshell Bling! Truth is – I have visited many of them already and I am going to visit every single one. I started at eighteen25. All of them! They are all so fabulous blogs! I am visiting all of them! Most of them – one of my fav’s is click it up a notch! I have been to all of them, but love Click it up a notch. omg — I love this giveaway so much that I am visiting them all!! I am almost done going through every website and blog that are doing a giveaway. I’m getting nothing done today! I clicked over to Thirty Handmade Days! going to all! Your homebased Mom. i visited all of them!!!!! i think i’v eentered all but one… crazy little projects was one! thanks! I visited tator tots and jello. I LOVE that blog!! I’ve visited most of them already. I have went to every one….. and have entered pretty much all of them! I’m going to visit several other blogs. My first stop is Yellow Bliss Road. I visited thirty handmade days and all other blogs! I have pretty much visited all of them because I love checking out new blogs and inspiration but off the top of my head Tidy Mom and The Crafting Chicks. I hopped over to eighteen25! I’m visiting all of them, and glad to be introduced to some really great blogs, including this one. From your links, I visited Eighteen25. GOOD for you for writing a cookbook….bravo! I have almost made it through the whole list. I love seeing everyones favorite things. Next on my list is Lolly Jane! Loving this hop! I have been to 30 days blog and entered to win her stache of favorite things. I have actually been to several of the blogs and have seen so many great giveaways but most importantly I am following so many new people on Pinterest and have so many great, new ideas of projects I want to start. Yay! I went to Pick your Plum and Tatertots & Jello. Two of my favs! I’m on my way to Eighteen25 and staying alive! I visited all of them. I visited Crazy Little Projects and TidyMom. awesome! off to visit eighteen25! I’m checking out all of them and already found loads of new pinterest boards to follow! Every one of them, but started with Tidy Mom! I’ve been to most of them now, I will go to all! Why not? Great stuff to win! I’m going to look at Eighteen25 next! started at tater tots and jello and went from there to most of the others. Popped over to Click It Up a Notch. Love the exposure to all of these wonderful blogs!! I went to all but the one after yours is eighteen25! I went to Thirty Handmade days…and quite a few others! This is such a fun giveaway!! I am checking out all the blogs. This is my evening chill time. I’m visiting all of the giveaways! You guys are awesome for putting this on. Such thoughtful and wonderful gifts! Click It Up a Notch!! I started with Click it up a notch and have made it through all of them! Crazy Little projects, A Pumpkin and a Princess, C.R.A.F.T and MANY MORE! This is exciting! Love you girls! I visited quite a few but the next is Yellow Bliss Road. clickitupanotch.com … thanks for the chance! I visited How Does She! I first came from Two Twenty One Blog! The girl who ate everything was a cool blog I visited. The diary of Dave’s Wife…I follow a lot of the other ones…this was a new one. i’ve been to almost all of them! Such great ideas, and I’m super inspired! I visited Yellow Bliss Road. I visited them all! I was just at Kojo Designs. So many great giveaways on these great blogs! Fun times! I stopped by Kojo Designs! I’ve been to them all! I couldn’t pass up entering all of the wonderful My Favorite Things giveaways! I look forward to seeing what’s in everyone’s basket every year! All of them…but Your Homebased Mom is next! I linked on to The pleated poppy! I have am visiting all of them! This is fun! Great giveaway. I think I’ve visited every blog on the list. I’ve been to most of the ones on the list, and will go to all. I enjoyed 36th Avenue having never spent much time there before. New to me – I visited kojo designs and diary of Dave’s wife. I love finding new blogs to follow! I’ve been visiting them all — in order listed. I started at 26 so I’m off to Lolly Jane now. I went to the girl who ate everything. I don’t really fit the profile for a lot of the other blogs. haha! I went to Capturing Joy. I love the bag. I visited all of them! Click it Up A Notch was a favorite. I visited Classy Clutter’s page. What a fantastic idea for a giveaway! So many fun prizes! I went over to the girl who ate everything! I visited Capturing Joy! Love the green purse and all the goodies that come with it. I found bombshellbling.com! It’s awesome! I visited all of them but I liked Capturing Joy the best! I love finding new blogs to visit, thanks. I’ve been to The Girl Who Ate Everything. Love this giveaway! It took a couple of days, but I think I visited them all! Thanks for doing this! I started from Your Homebase mom. Great site. I went to Koko designs! ALL OF THEM! :) I cannot believe I have not seen your blogs before! I love all the ideas you all have! I’m heading over to all these awesome blogs and checking them out! I’m hopping on every blog in this giveaway :) Thank you! I visited mostly every site! Pick your plum and eighteen25 were the first two though! I love this! I went to all of the sites, but Lolly Jane was a favorite new one to me! I visited Tatortots and jello! But I plan on visiting more! I visited all of the blogs. I went to ALL the other blogs!!! I entered tidy mom’s giveaway. I’ve actually checked out all of the blogs on the blog hop – most of them are completely new to me and they are all up my alley. I can’t chose one favorite because they all offer really great stuff! I entered Kojo Design’s giveaway! I visited Crazy Little Projects! I hopped through all of them! Thanks for the chance to win! Those are some of my favorite things too!! I went to Pick Your Plum! eighteen25… one of my favorites! Pingback: Link Party Palooza -- and TWO Big Giveaways! Eighteen 25, Kristen Duke, The Crafting Chicks and a bunch of others!! To be honest I’ll probably visit several, but I’m starting with bombshell bling. I visited them all as well- what a fun giveaway, Thank you! Ive visited all the blogs before yours so far and plan on visiting the ones after you too! I popped over to Crazy Little Projects. And all the other ones! I checked out all of them. Friday night fun! I visited The Diary of Dave’s Wife. I visited a ton of them, Eighteen25 was a new one to me. I went to The Girl Who Ate Everything! I visited most of them! Started with Tidymom. I have visited almost all of them, it will be all of them when I’m done. One that really caught my eye was How Does She. I visited Eighteen-25 (the next one on the blog hop). I went to eighteen25 blog next. I hopped over to twotwentyone! I visited nearly all the blogs! Visited all of them, but one I had never been to before is Classy Clutter. I visited 30 Handmade Days. I visited all the blogs! How fun to see what everyone’s favorite things are! I visited How Does She? and several others. eighteen25-It is a great blog. I went to Tatertots and Jello and The girl who ate everything because I love those ones. But checked out a Pumpkin and a princess for something new but plan on checking them all out! I`ve visited all of them! I visited all of the blogs. So many yummy items. I visited a all of the blogs before you on the list. The first blog that I read was the girls at 1825. The Pleated Poppy – giving away lots of things from my favorite store! I am making my way around to all of the blogs! I visited The Pleated Poppy. Very cute mixing bowl there! I enjoyed visiting some new blogs like eighteen25. I visited many today but just now it was kojo designs. Thanks for asking. I visited all of blogs and entered most of the giveaways! I visited Tater Tots & jello! I visited the 36th avenue today. You folks are great blog collaborators. I visited them all and entered several of the giveaways! I went to Pick Your Plum. I visited The Girl Who Ate Everything. I visited many other sites including twotwentyone and capturing joy with Kristen duke! I visited them all finding you through Yellow Bliss Road. I went to all of them! I couldn’t resist. Thank you for this incredible giveaway! I went to the girl who ate everything. I entered bombshell bling, and the 36th avenue. I started at 30 Handmade Days, but plan to visit all! I visited all of the blogs that were accepting applications. Most of the gift packages are really nice and exciting! Love the Pumpkin & Princess and The Diary of Dave’s Wife. This is my first time on the hop and I have enjoyed it. Thanks for being a part of this!! I started with #1 and have made my way up to your site. My last site was Kojo Design. Thank you for your generous opportunity to win the incredible basket you are offering! ! I visited Tidy Mom and here is a list of what she’s giveaway. I think I visited them all! Thanks to you all, it seems we share a love for many of the same things . . . cheesecake and popcorn, you and I are kindred spirits. I checked out A Pumpkin and a Princess. I’ve made my rounds, headed to Eighteen25 next! I visited all, but I love The Girl Who Ate Everything! I love a good planner! Been using one since I was 12! That one looks great! I’ve visited most, and LiveLaughRowe is one of them. I visited Tidy Mom’s Giveaway and am planning on visiting more. I visited all of them, great giveaways at each one! All unique, I love it. Started at The Pleated Poppy and was hooked from there. 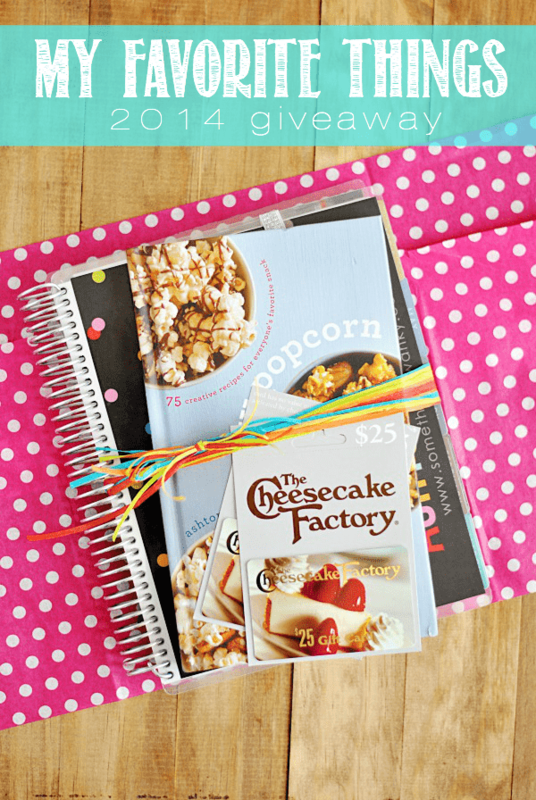 Awesome blog hop idea! The blog “OhSoSheSays” is giving away a FitBit. I went to them all! Haha thanks for this opportunity! I went over to Eighteen25! Yellow Bliss Road is new to me! I visited all of them, I just love looking at all the favorite things! Visiting classy clutter and several more. :) Fun give aways!! I’m visiting all of them! Entirely Eventful Day is next though! Great Giveaway, Thanks! I went to the cheesecake factory for the first time earlier this year as a birthday treat, it is truly amazing! I will definitely be checking out all the blogs, I can’t wait to see what awesome products are shared! I’ve already found a few things I never knew of that will make perfect gifts for people I know. Headed over to The Girl Who Ate Everything from here – entered her drawing *and* found a recipe for a buffalo chicken and potato bake that I’m going to try tonight! Double-score! I have visited almost all the other blogs. I really liked sister’s suitcase. I have visited all of them! I love the Favorite Things giveaway and look forward to it every year. I think I have now visited every site! This is amazing!!! 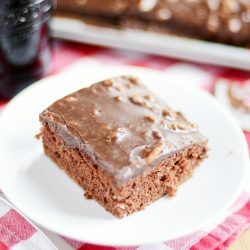 I hopped over to the Girl who Ate Everything’s blog! Went to Lolly Jane — loving this prize hop! I went to Thirty Handmade Days/\. You had me at ‘Ashton” since it is my daughter’s name! I’m checking out all of them! I went to My Sisters Suitcase. Thanks for the chance to win! I visited two twenty one :) such a fun blog! One to Eighteen25, but I have visited all the blogs listed before yes and visiting the rest after that too. This is so fun to see all the neat stuff everyone enjoys in their day to day life.